Well this should be fun. French street artist JR (previously here and here) is bringing his large-scale participatory Inside Out Project to NYC starting next week. People are invited to take their self-portraits in a specially designed photo booth stationed in Times Square. Some of the black and white instantly-printed 3′ x 4′ posters will be displayed in Times Square but each portrait-taker is encouraged to take their poster back to display publicly in their home community. The photo booth truck will be making early visits to the four other boroughs as well, with the initial portraits featuring community members from NYC Hurricane Sandy-affected areas. Inside Out New York City coincides with the world premiere of the documentary film Inside Out: The People’s Art Project on April 20th as part of the Tribeca Film Festival, and will later have its television debut on HBO on May 20th. I would imagine there will be lines, so you might want to pick a weekday to head over to the photo booth truck, but based on our own personal experience with the Inside Out Project, I highly recommend participating one way or another. 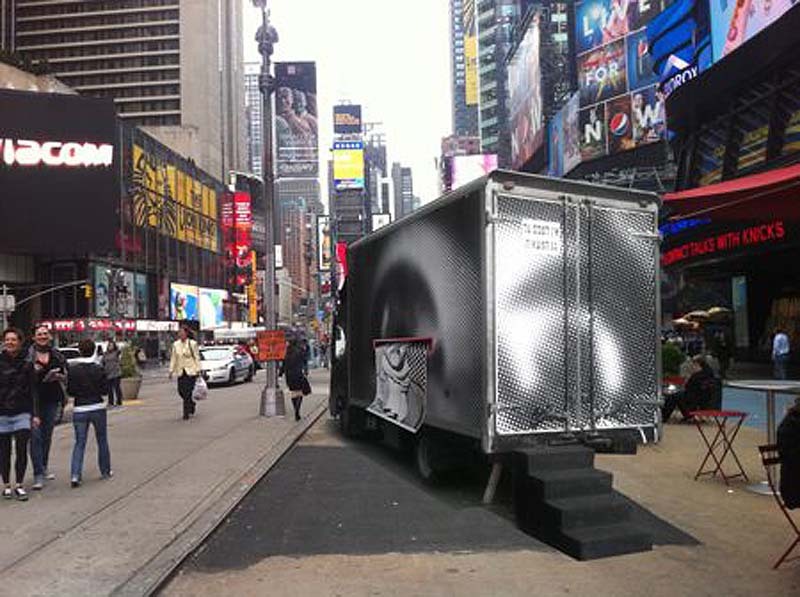 Inside Out New York City will run from April 22 to May 10, 2013 in Times Square. Photos courtesy Times Square Alliance; Inside Out Project; Inside Out NYC’s facebook page; and collabcubed. This entry was posted in Art, Event, Fun, Interaction Design, NYC, Photography, Pop Culture, Street Art, Stuff We Like. Bookmark the permalink. This sounds like its gonna be amazing! It’s great to get the public involved in large scale art projects too.